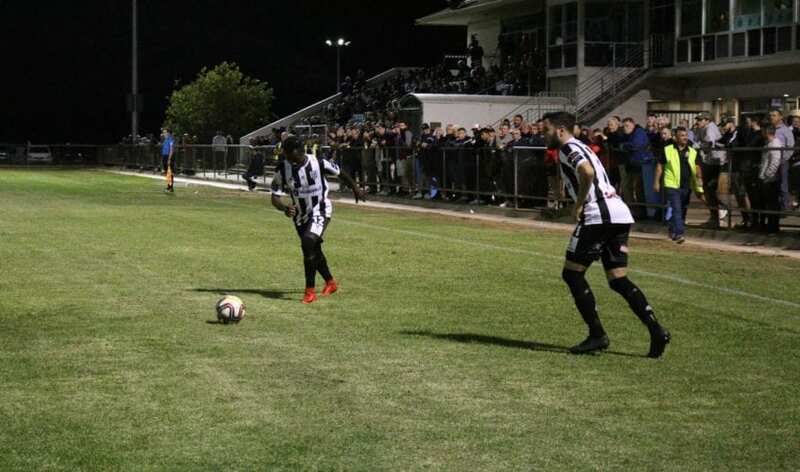 Adelaide City played out an entertaining 2-2 draw with Adelaide Croatia Raiders on Friday night at the Croatian Sports Centre. City trailed 2-1 late in the game, but were salvaged by a Marcos Flores penalty to grab their fourth point of the new campaign. City were put under the pump early by Raiders, with the hosts pressing highly up the field in search for the game’s first goal. However, City struck first in the 17th minute through prolific striker Anthony Costa. The visitors won a corner following a dangerous Marcos Flores through ball which was taken by Benny Kovadio. His in-swinging, inch-perfect corner met the head of Costa, who found the net from close range. The two sides exchanged chances for the remainder of the half, with Raiders keeper Nick Munro and City’s Luke Ostbye both making valuable saves on the way to the break. Following the break, it was Raiders who made the next move. Terrence Carter pounced on a loose ball in his attacking third and coolly slotted past Ostbye. Minutes later, Carter again struck with his own contender for goal of the week. Scott Tunbridge’s cross found Carter at the back post, and the American fired in a thunderous volley to give his side the lead. Raiders looked to be in control of the tie and seemed a certainty for the three points. However, Joseph Costa made a scintillating run into the area before being fouled Adam Van Dommele and referee Gary Mooney pointed the spot. Flores converted the penalty and subsequently grabbed the valuable point for City, who host Campbelltown next Saturday night.